A beautiful home perched atop a mound of crispy dead grass or a pile of weed-ridden and broken up concrete is like a jaw-dropping masterpiece sitting sadly in a termite-eaten, dirty old frame. Once your home has been remodeled, it undeniably deserves to be surrounded by the beauty it so effortlessly exudes. Fortunately, we at CCM happen to expert pavers, and would more than happy to help you fill in your driveway or back patio with a fresh layer of sturdy and easily maintainable concrete. While concrete is a given for many driveways, the reliable material is not as often considered for the backyard. However, because of its low comparative cost, easy upkeep, and extreme durability in every variation of harsh Southern Florida weather, concrete is an absolutely ideal choice for both the back and the front! Yet many homeowners are hesitant to utilize large quantities of concrete in landscaping, seeing as the material has a tendency to come across as somewhat boring. Who wants a drab, gray backyard? Fortunately, there are plenty of ways to make your backyard area beautiful and livable while utilizing the multitude of benefits concrete beholds. Look into livening up concrete with color. Because people are getting fed up with the blasé grayness, many surface-applied coloring options have recently become available. Staining and layering result in natural looking finishes, leaving uneven tone that depicts realistic tile, stone, or brick – depending on what look specifically the homeowner is going for. For more dramatic colors such as cobalt blue, reds, and oranges, polymer-based stains are now available as well. Top your concrete with a decorative overlay. Topping your concrete with a decorative overlay is a great way to spruce up existing concrete that may be pitted, discolored or uneven. Overlays are typically a combination of polymer resins, aggregates, and cement, and are applied like a thick paint would be n order to even out the texture and add or smooth out color. Imprint designs and patterns into concrete, adding texture. A machine with a sharp blade, about the size of a lawnmower, is used to score patterns into the concrete. Such engraving machines are typically used to cut tile, brick, or cobblestone patterns into the concrete, but can be employed to engrave nearly any desired design. Staining the concrete after it has been engraved will work towards further accenting the material, giving it a new and interesting look and feel. 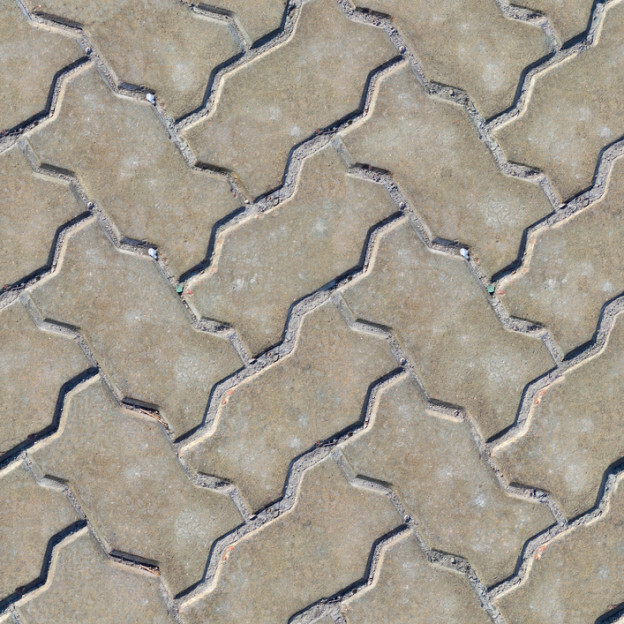 This is a cost-efficient way to make concrete far more interesting. In this particular process, beautifully colored natural stones (such as rose quartz, shiny brown river gravel, or red granite) are mixed into the cement before it is laid. The top layer of cement paste is removed once the concrete has been placed, and the stones are revealed. For an even more interesting look, trying adding crushed glass or broken up seashells (great for beach homes) instead of natural stone. As you can clearly see, there are innumerable ways in which you can spruce up your concrete and reap all of the material’s benefits while not being aesthetically bummed out by a boring and lackluster look.